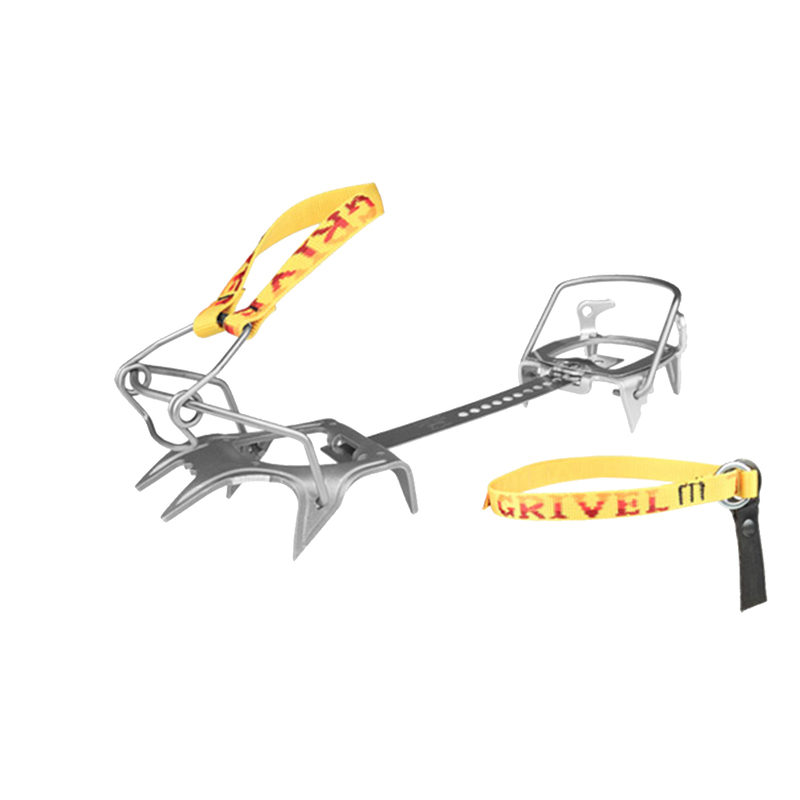 The Grivel Skirace Ski Matic are a super-light and "bomb-proof" crampon with a totally new binding system designed specifically for ski touring, lighter than its sister the Ski Tour Ski Matic 2.0. They include a "bomb-proof" front bail that adapts easily and perfectly to modern ski touring boots, with a weight of only 394g for compact storage and minimum weight during transportation. Simple, light, and easy to use, the Grivel Ski Tour Ski Matic 2.0 are made for ski touring.